Are you ready to pop the question, but clueless when it comes to the complicated world of engagement rings? 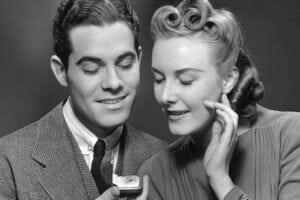 Let’s make it simple and hone in on the timeless engagement ring that started it all. 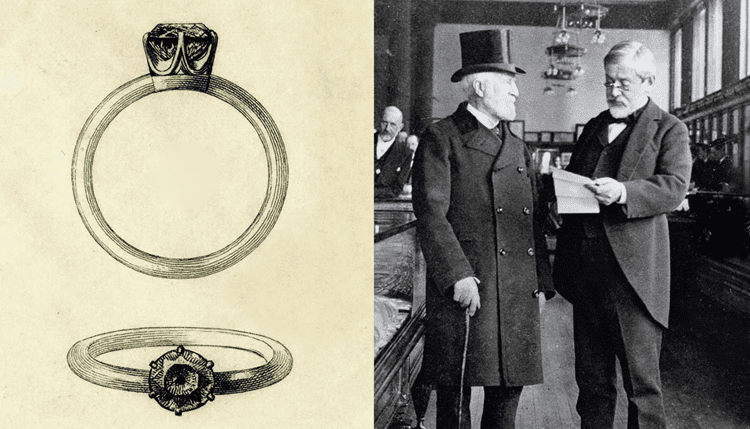 In 1886 Charles Lewis Tiffany, the founder of Tiffany & Co., introduced the world to The Tiffany® Setting. This elegant 6-prong, solitaire setting has gone on to become the classic engagement ring your bride-to-be knows, loves, and probably dreams about today. The coveted Tiffany Setting® features a solitaire round brilliant diamond on a simple platinum band, the whitest and most durable metal option. 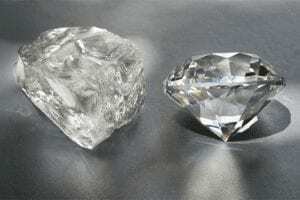 The diamond is carefully secured in place by 6 prongs, on a setting that is designed and hand-crafted in such a way that the diamond appears to float. All eyes will instantly be on the Tiffany diamond, as the setting disappears to feature the brilliant stone. Prior to the creation of the innovative Tiffany Setting®, being able to see the entirety of a stone in an engagement ring was unheard of. Tiffany & Co. set a precedent for all engagement rings to follow with this iconic setting by placing the emphasis on the diamond itself. 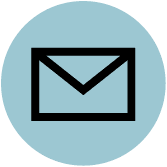 In addition, Tiffany set the trend for utilizing the precious metal, platinum, resistant to wear and tear and thus giving rings the durability to be passed on for generations. The Tiffany® Setting shaped the future of engagement rings, setting a higher standard for the universal symbol for love and marriage. 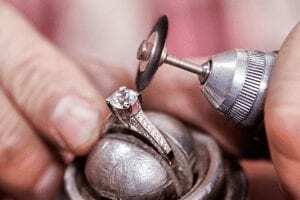 As Tiffany Diamond Setter Marcus Latronico says, “there’s a difference between quality, and Tiffany quality,” and that difference can be seen not just in the beauty of the ring itself, but in the care that goes into crafting it. In a society where machines are taking over and careful attention has seemingly been tossed aside, Tiffany continues its hand-crafting traditions that drove its success 130 years ago. 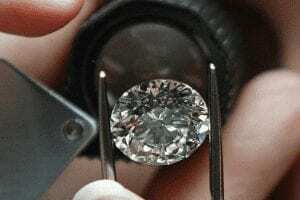 Each diamond is hand-set into the platinum prongs and secured in place. 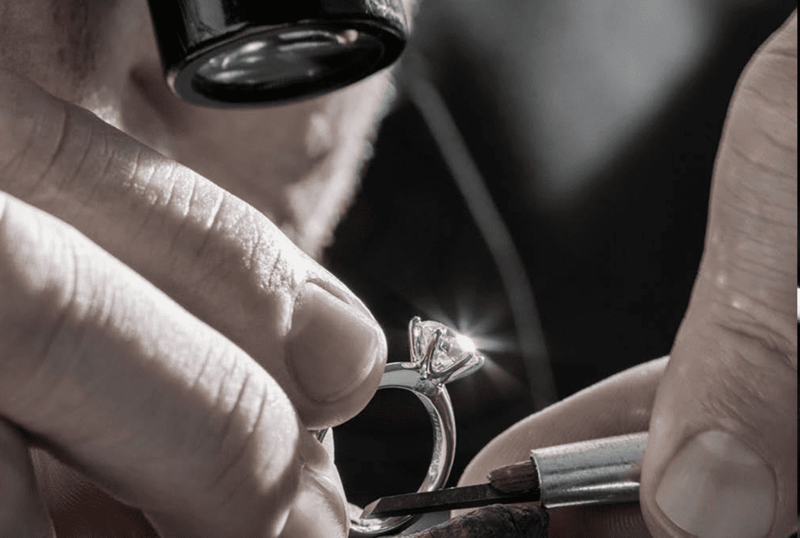 Each iconic Tiffany® Setting engagement ring takes about one year to craft. It is both the history of this famous setting and Tiffany & Co.’s dedication to the craft that make the Tiffany® Setting a timeless choice. If you still have doubts or an uneasy feeling that your bride-to-be will reject your taste, Tiffany & Co. offers a Lifetime Warranty. However, we highly doubt your taste will ever be in question when it involves the Tiffany® Setting. Your bride-to-be is bound to thank you, and you can thank Mr. Tiffany for making you feel confident in your choice to make the plunge with timeless style, craftsmanship and a diamond of superior brilliance.